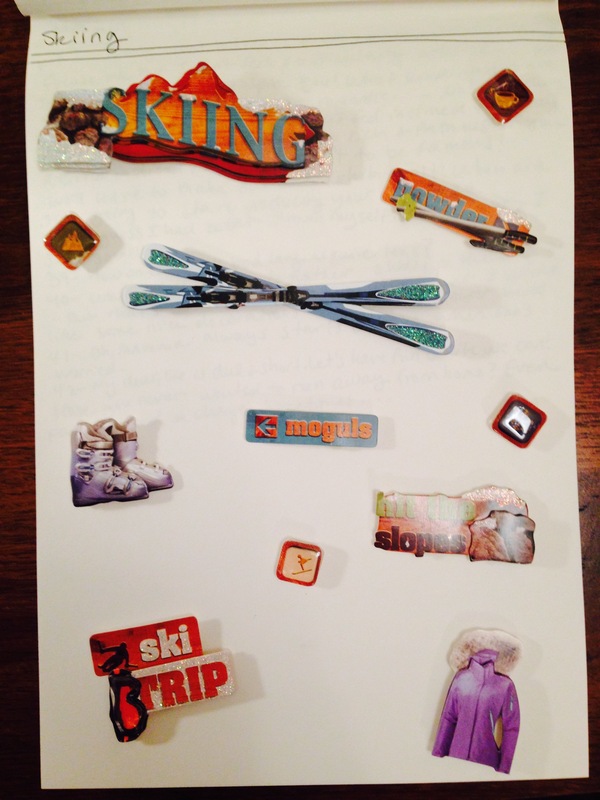 Today I was at Hobby Lobby getting more art supplies when I saw skiing stickers in the clearance bin. So of course I stuck them in my writing notebook. My word count is 17,038. I’m looking forward to the Write-In at Grounds for Thought tomorrow.